Would you like to get a car but don’t have a dime to your name? No problem, what do you have to trade? In the upcoming GSN series, “Family Trade”, G-Stone Motors, a state-of-the-art car dealership in Middlebury, Vermont, is the place to be if you want to barter your way into a new set of wheels. Founder Gardner Stone will trade you a beautiful new car or truck for anything you’ve got that he thinks he can sell—pigs, a hot air balloon, coffins, maple syrup, dolls, a shoe collection. On this edition of INTERVUE, Dean talks to Mr. Stone to learn his secrets and the ways of bartering. Watch the Duck was due to open for Mos Def at Rams Head Live on March 1st, which is kind of surprising, but since Mos Def is a well rounded artist in the music world anything was possible. I expected more of a turnout for a classic Hip Hop artist, but on a positive note, the small crowd made it intimate and spacious enough to relax and walk around comfortably. Tonight the National Philharmonic presented The American Virtuoso Violin and it featured the works of some of the best American composers to date. It included compositions from Russell Peck, Andreas Makris, Steven R. Gerber (who was in attendance) and Leonard Bernstein. The program prominently featured pieces that required a stringed orchestral ensemble with solo violin. Elena Urioste would fill the role for solo violin and the program was conducted by Piotr Gajewski. 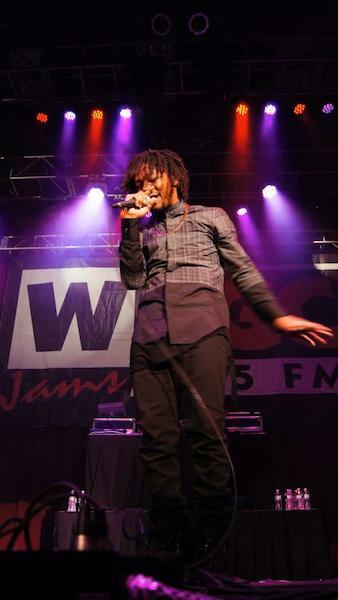 WPGC 95.5 FM hosted Lupe Fiasco’s concert held at The Fillmore Silver Spring.Wednesday night in particular marked a very important event for me, not just as a photographer, but also as a avid Hip Hop listener and enthusiast. There have been a number of musicians to have written music about either death or tragedy only to unfortunately have death or tragedy bestowed upon them. Tupac, Notorious B.I.G., John Lennon, Jimi Hendrix, Hank Williams, have all in a sense written their own requiem mass. John Denver wrote a song entitled “Leaving on a Jet Plane” eerily only to later to die in a plane crash. But John Denver was a pilot and loved to fly, he often traveled. Musicians tend to transcend life into sound. Sometimes the artist’s introspective view of reality surpasses into lyrical/sound verbatim/vibrations. Mozart believed he was writing his own requiem. This piece of music is an introspective resonate translation of what Mozart believed was an inevitable actuality. Sometimes tragic events or circumstances translate into music and it is a reflection in and of itself. 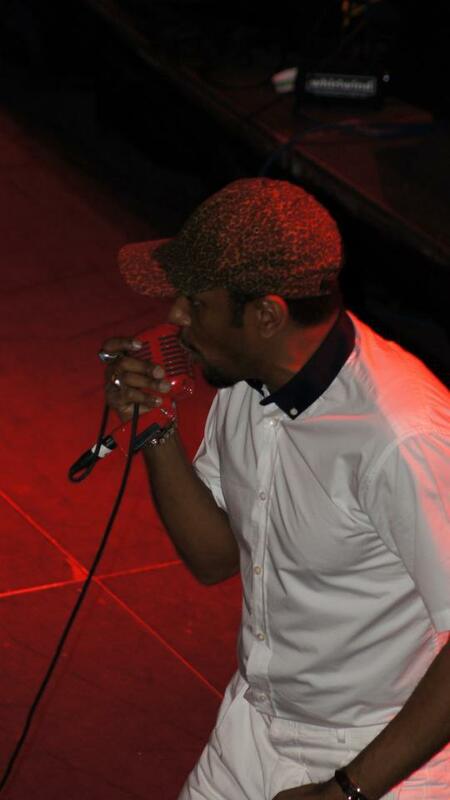 I recently heard “My Regards” Wytold’s new album and was really excited to see him perform. I had never been to a concert featuring an electric cellist. I didn’t really know what to expect. I knew percussionist Bryan Bowman and guitarist Jerry Tolk would probably be performing. I would have even guessed an appearance from Christylez Bacon. But what I didn’t guess were appearances from current Artists in Residence Daisy Castro, Owen Danoff and Isabelle De Leon, not to mention mentor Rickie Simpkins. Last Thursday at Rams Head Live! was a “live” night indeed with Wale representing the DMV in Baltimore. After getting through security and entering to the main floors, I was completely surrounded by people. Every square inch was covered, from people at the bars trying to get right, to others getting some grub to go along with sipping suds. A majority of the people made it a crucial point to stand their ground and wait it out for Wale to hit stage. A few local artists opened up with various tracks, featuring Black Cobain, Fatz Da Big Fella, King Mez, and Miss C.R.E.A.M. herself doing her thing getting the crowd hype for Mr. Folarin. DJ Booth made the stage spinning some of today’s popular songs and hits from both hip hop and R&B classics of the 90’s, testing the audiences music knowledge as both men and women sang along word for word! Never before then a true story of one man making a difference was captured on film beautifully than the 2012 Oscar-winning documentary, “Undefeated.” This documentary followed the life of Coach Bill Courtney as he leads the mighty Tigers of Manassas High of Memphis, Tennessee. On this special edition of INTERVUE, Dean Rogers interviewed the coach to find out how he took on the struggling team, the sudden fame and life after the game. 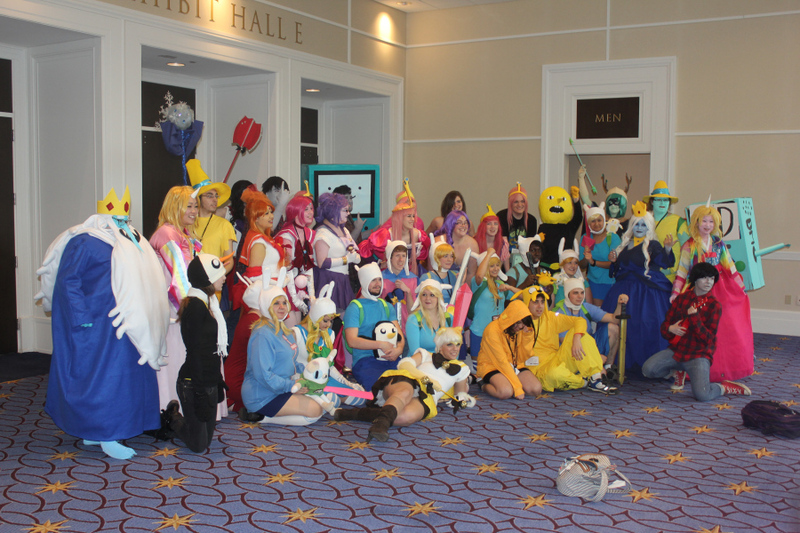 Katsucon is an event in its 19th year; the 3rd year in a row it was held at the Gaylord National Resort & Convention Center. That’s a long time! The programming grid already had a block welcoming you back to Katsucon Twenty February 14th-16th 2014. They must be doing something right. Maybe it’s just the growing popularity of video games and anime over the past 30 years. I personally have been a big fan for a long time. It has become customary for me to click on Toonami after coming home at whenever o-clock in the morning on a Saturday night. So I was looking forward to this convention, let’s see how it held up.